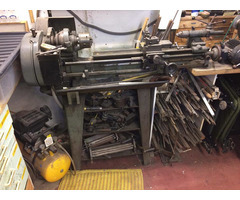 Myford M type lathe on stand, long bed version, in good condition. At some point fitted with V belts it has two 3 jaw chucks, 1 independent 4 jaw chuck, face plate and what looks like vertical slide attachment. Possibly other tooling for it too. 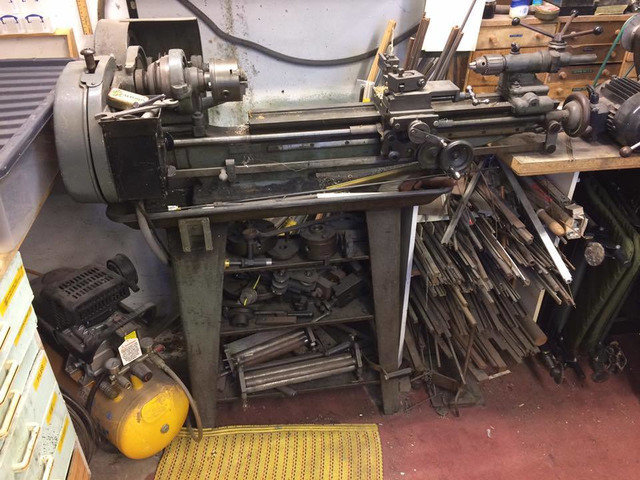 Only two things missing that are in photos are the tailstock rack drive and rear mounted parting tool removed by previous owner prior to sale. Screw or cantilever versions easily available. Not overly sure on value but seen a few others at similar prices so open to sensible offers. Collection only, East Sussex.